Lumenera's Infinity 3-1 c-mount microscope camera is designed for use in a wide variety of scientific applications. This cooled microscope camera is perfect for low-light conditions and where a high dynamic range is required. 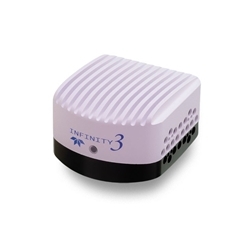 The Infinity 3-1 is a 1.4 megapixel cooled USB camera with 1392 x 1040 resolution and on-board processing providing outstanding image quality for industrial and scientific imaging applications. 1.4 Megapixel color or monochrome low noise progressive scan CCD sensor. Provides crisp color quality for the most demanding brightfield, phase contrast and fluorescent applications including GFP, FISH, NIR, FRET, life science and geology. 2/3” Interline Sony ICX285 CCD sensor. 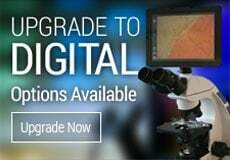 Includes Infinity Analyze and Infinity Capture Software. RGB Data captured through each pixel contains 30-bits of color image information resulting in 1,024 intensity values per color. Compatible with Windows 10, 8, 7, Vista, Mac OS X 10.7, 32 and 64-bit operating systems. Camera dimensions are 1.56" deep x 2.25" wide x 3.85" high. View Lumenera Infinity 3-1 Datasheet. Included in the kit are the Infinity 3-1 digital camera, CD-Rom with Infinity Analyze and Capture Software, TWAIN driver, USB 2.0 cable and instructions. Windows 10, 8, 7, Vista, Mac OS X 10.7, 32 and 64-bit operating systems. 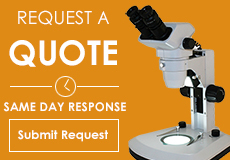 NOTE: Microscope World has a restocking fee on this item. Please call for details.